His farewell tour closes in just a few weeks in Queens, New York, not very far from his childhood home. 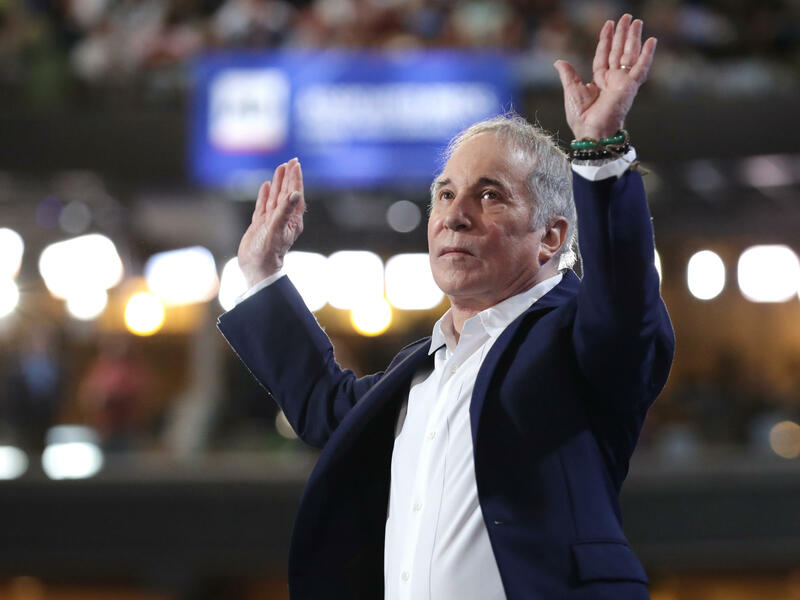 And even though he recorded five studio albums with Art Garfunkel, made 14 solo albums, scored a film and wrote a Broadway musical, it's actually been a few years since Paul Simon has written a new song. As he says in this incredible and candid conversation, the future of his artistic life is something he puzzles about. All that said, Paul Simon has just made a new album. In the Blue Light is a brilliant reimagining of 10 songs he says he's always wanted to revisit. He created this record with a band of inventive jazz and classical musicians, including guitarist Bill Frisell and trumpeter Wynton Marsalis, with arrangements from The National's Bryce Dessner. I began our conversation by asking Paul Simon how and why he chose the songs to rework for this new record. His remarkable answer took us down a long and completely unexpected path. You can listen to the full interview with the play button at the top of the page and read edited highlights below. "Well I haven't written a new song in a couple of years, now. I think after [the 2016 album] Stranger To Stranger, a funny thing happened when I finished - I literally felt like a switch clicked and I said, 'I'm finished.'" "What I'm really interested in on a personal level are my dreams. I have a long history, really going back to like when I'm four, of violence dreams. Those dreams, they got so intense a few years ago that I took a trip down to Brazil to see this healer, John of God." "'Darling Lorraine,' which I think is one of the best songs that I've ever written, the first time that I did it, the arrangement was so interesting and eclectic that I thought you couldn't follow the storyline, because you were distracted by the sounds. So this time, I came and was very careful to try and allow for the storyline to go right through because if you don't follow the storyline then the ending doesn't have its power. And it's also touching for me that this was the last time that [guitarist] Vincent Nguini - who was my friend and band mate for 30 years - this is the last recording that he made. He passed away last December." "We don't have the capacity to understand the great mysteries of life and God or no God or infinity, we just can't get it. It's beyond us, but that's fine. We're not meant to get that. But the pursuit is so interesting. That, I think, it's life sustaining and I think when you lose the interest in that pursuit you're finished."